WestStein Prepaid Mastercard is a great debit card for international purchases both for secure online shopping and on high street. 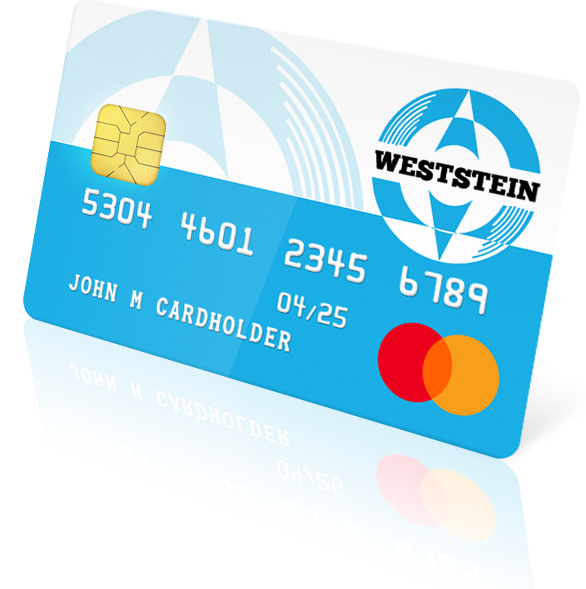 WestStein card guarantees that you will spend only the amount you have available on the card account. The card is independent of your regular bank account, and the card’s account is held with a foreign bank, thus providing additional security and keeping transactions confidential. The card has maximum data protection and is secured against fraud with Mastercard 3D Secure system available to all verified customers.